30 May 2012, 12:08 p.m. The season may be over, but that doesn't have to mean the end of rugby or keeping fit! We're playing mixed tag rugby twice a week & running fitness sessions throughout the summer. 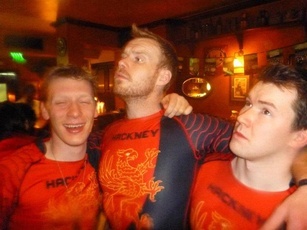 21 May 2012, 4:54 p.m.
Hackney RFC's touring side arrived bright and breezy at Gatwick airport at 4:30am on the morning of the 3rd of May with the small matter of a 6 year long unbeaten European record to defend. 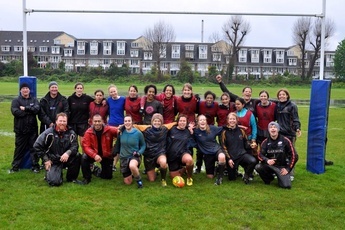 21 May 2012, 4:09 p.m.
On Sunday 29th of April, the second Ladies Development Day took place at Hackney RFC. The Ladies Development Day was about celebrating the growing popularity of ladies rugby and encouraging more people to come and try the game. 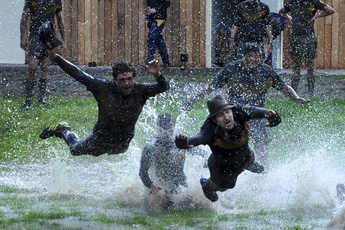 8 May 2012, 10:57 a.m.
Hackney Rugby Club's annual 10s tournament - the Matt Elliott Cup, was held on Sunday amidst a tropical rain storm. A chance for old and new players to don their boots for a day of fun and frolics down at Springhill Park. With the use of several gazebos, the new changing rooms and plenty of food and drink, everyone's spirits were kept high throughout which made for a thoroughly entertaining day.